Welcome to the world of Fashion and Virtu Fashion Theme. 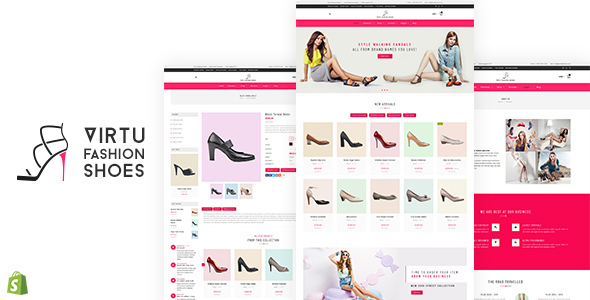 Virtu Fashion Theme is designed with passion byBuddhathemes, the Elite Author with rich experience in Shopify themes design. Coming with a gorgeous Homepage, About us page, Contact us and Shop pages, Virtu Fashion Theme is your best bet for online sale of cut shoes, high heel shoes, boat shoes, silver shoes, slip on shoes, walking shoes, fashion and formal shoes, flat sandals and various types of high heel sandals besides denim wears like jeans and jackets.